UK Chancellor of the Exchequer Philip Hammond has scrapped a trip to China, where he was to discuss economic and financial relations between the two countries, Bloomberg reports, citing an unnamed government official. According to the outlet, the list of topics on the agenda included a planned stock market connection and setting a date for the UK-China Economic and Financial Dialogue, which was earlier delayed. Hammond was to have a number of meetings with Chinese officials, including Vice Premier Hu Chunhua. However, the Treasury has denied there had been any confirmed visit at all. “The chancellor is not traveling to China at this time. No trip was ever announced or confirmed”, its spokesperson said. The Guardian reported that their sources had confirmed the Defence Secretary’s “clumsy and undiplomatic language had caused real upset”. The news about the scrapped trip comes a day after a verbal offensive against UK Defence Secretary Gavin Williamson from the Chinese Embassy in London. Its spokesman lambasted the official’s recent announcement. Williamson had announced that the UK would be deploying the aircraft carrier HMS Queen Elizabeth to Asia and accused China of being a source of disputes in the region, meaning the territorial claims in the South China Sea. He blamed Beijing for “developing its modern military capability and its commercial power” and claimed that it is "resurgent" in rebuilding its armed forces. The embassy branded his speech as “groundless accusations” reflecting a “Cold War mentality”. “China firmly opposes that. 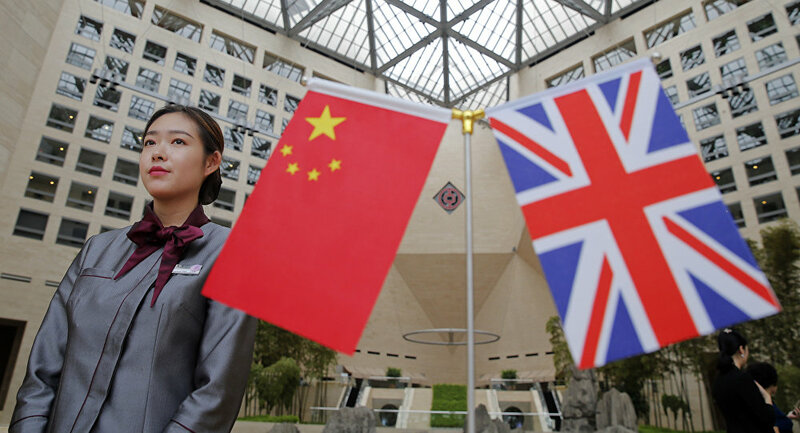 Meanwhile, China has also noticed the prime minister’s spokesman stressed that U.K. holds strong and constructive relationships with China”, its spokesman said. Prime Minister Theresa May distanced herself from the Secretary’s statements. "In relation to China, I think we have set out areas where we have concerns – such as around cyber-intrusions against the UK and our allies. But it is also a country with which we have a strong and constructive relationship", her spokesman said. Interestingly enough, The Independent reported that both the Prime Minister’s Office and the Treasury were believed to be angry about his remarks while The Financial Times cited a British official referring to it as an “idiotic speech”. Williamson has prompted criticism from China as the UK is making efforts to build the country’s global trading links in the face of the looming Brexit.